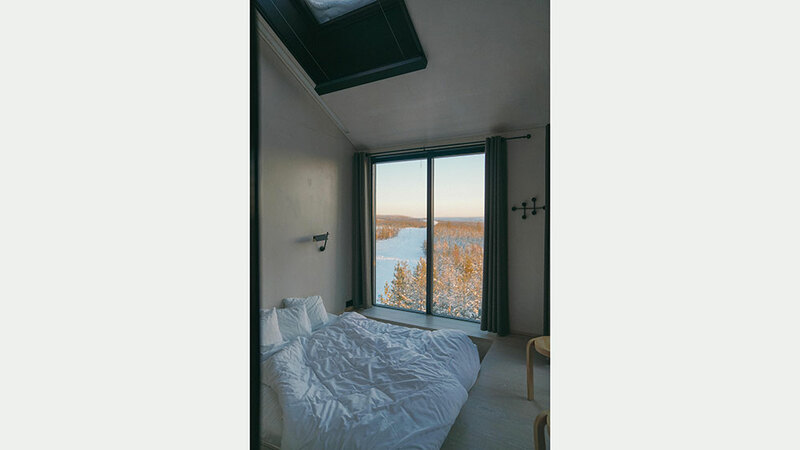 When Taylor O'Sullivan traveled to Sweden to photograph the Northern Lights, she stayed in a modern tree house that gave her amazing views and cozy nights in. Filmmaker and Photographer Taylor O’Sullivan seeks to capture unique and interesting experiences in every corner of the globe. 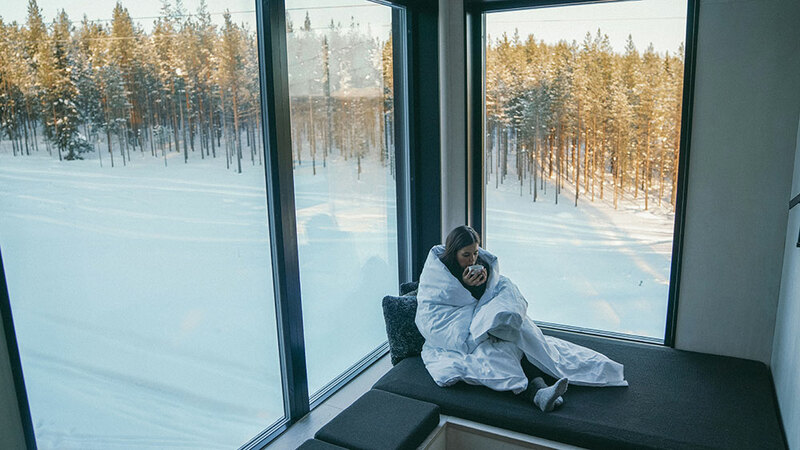 Her latest adventure brought her all the way to Northern Sweden, with the intention of photographing the Northern Lights and exploring unique and inventive accommodation in Lapland. 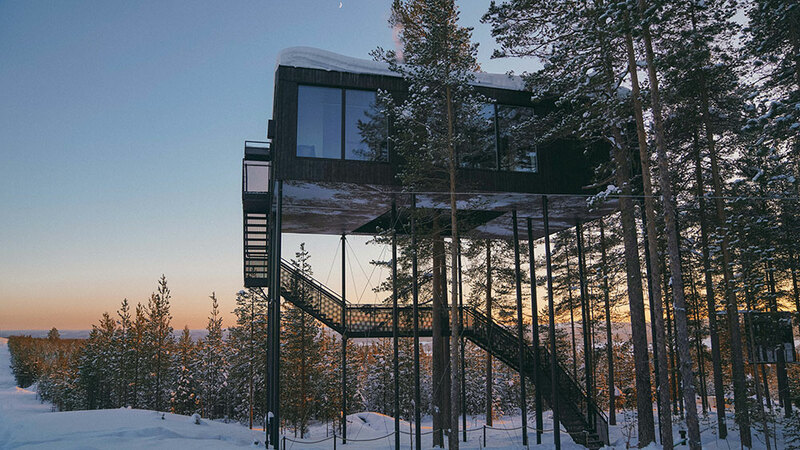 Meticulous Scandinavian design merges with enchanting snowy forests at the Treehotel. 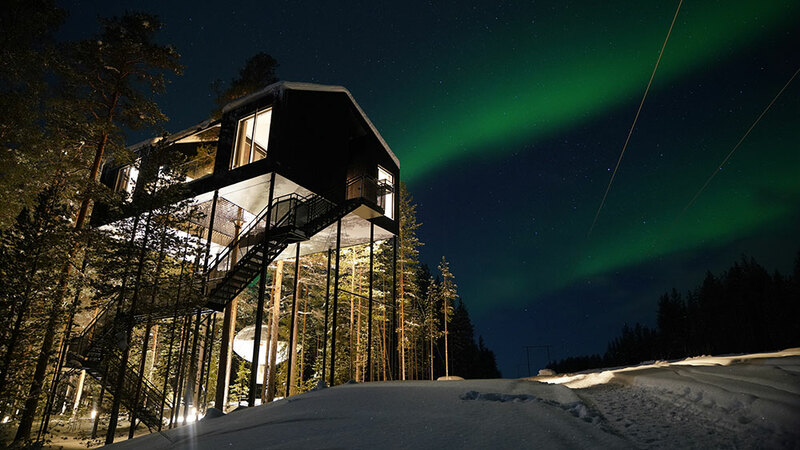 The Northern Lights, or Aurora Borealis, passes through the night sky behind the “7th Room” at Treehotel. 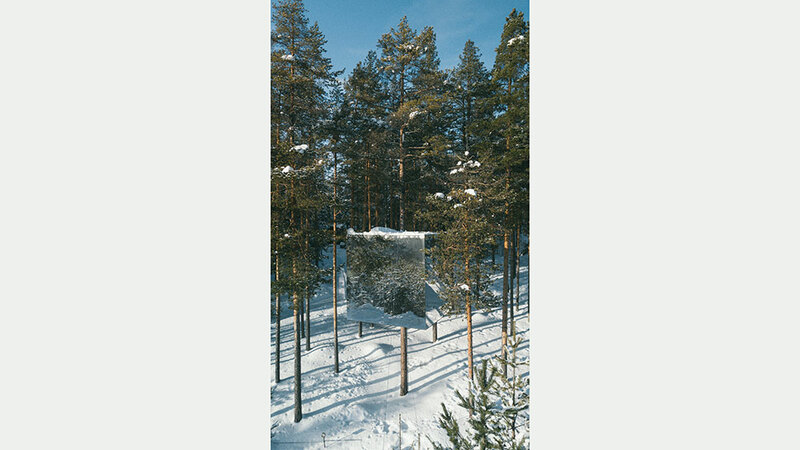 The Mirror Cube, suspended in the air and camouflaged by mirrored walls, assimlates with the trees by reflecting its natural surroundings. “7th Room” at Sunset. During the month of February, beautiful Sunsets like this can last for 2-3 hours. 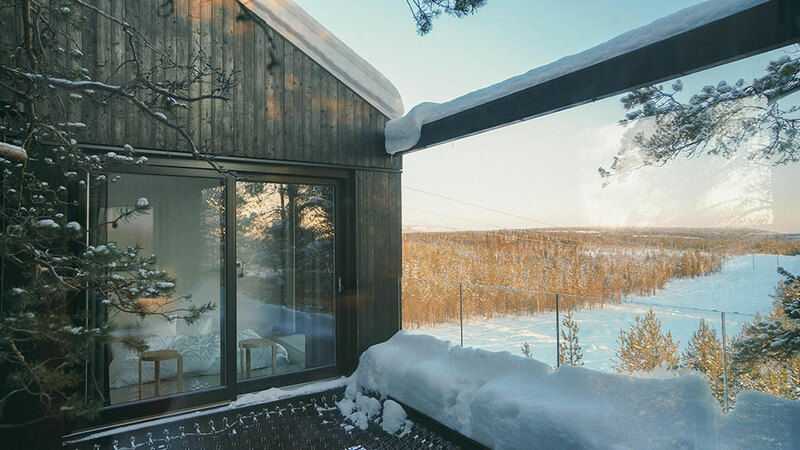 The view from one of two bedrooms in the “7th Room.” This Treehouse is equipped with heated floors, running water, stylish Scandinavian furniture, and a state of the art fireplace. 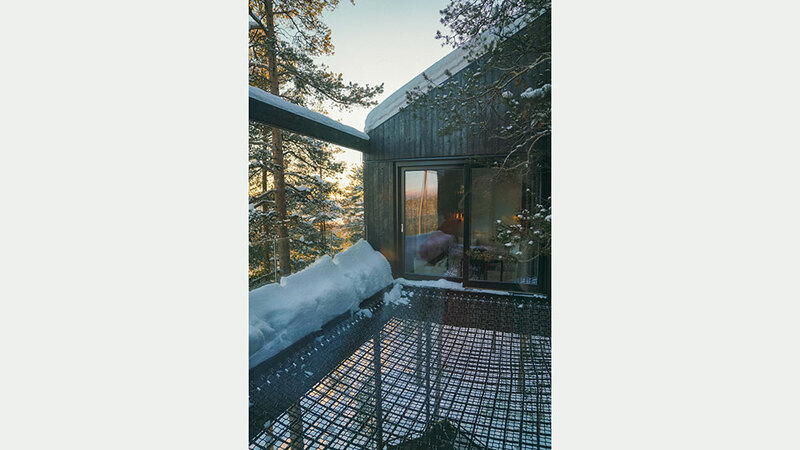 The “7th Room Patio” is made of a study cable netting and suspends guests five stories above the snowy ground. Taylor O’Sullivan cozies up to a cup of hot chocolate after a day spent exploring outdoors in -18 degrees F.